A statue celebrating Stoke-on-Trent’s most famous literary son has been unveiled – on what would have been his 150th birthday. 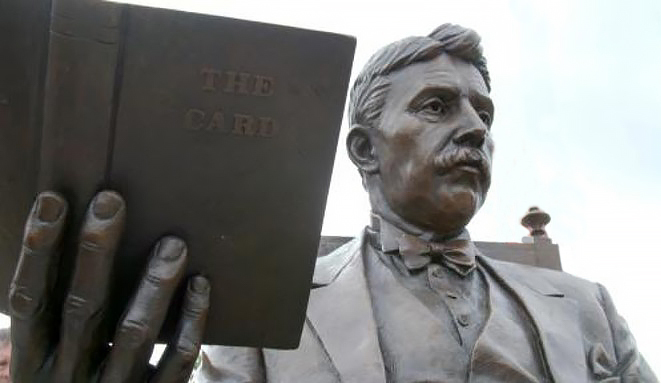 The two metre high bronze sculpture of novelist, playwright and essayist Arnold Bennett was revealed to the public on 27th May. A host of guests and civic dignitaries, including Bennett’s grandson Denis Eldin, attended the unveiling outside the Potteries Museum and Art Gallery in Hanley.